But after a summer of licking my wounds, I made a plan and now, as I work towards becoming an independent author, I’m feeling pretty positive. 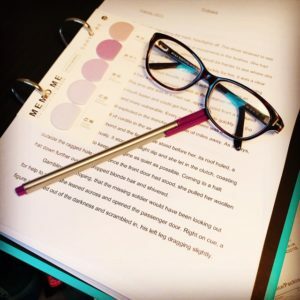 I’m in control rather than being at the mercy of fickle publishers and I’m not having to share an agent’s time with a couple of dozen other – possibly more profitable – clients. And it means that I feel able to make actual plans this year that are dependent on me, not other people who have other agendas. 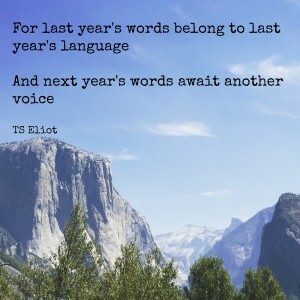 2019 is full of possibilities! 1. To publish Death Will Find Me in February and the second book in the series in the autumn. There’s a sales figure I’m aiming for but I feel hesitant about sharing that publicly right now. 2. To write two shorts about Tessa Kilpatrick for people who’ve joined my readers’ club. 3. To write the next draft of Don’t Blink (the contemporary art-world thriller) and then get some professional editorial feedback so that I can decide whether it has potential. If I want to bash on with it, then I’ll do that once the second Tessa Kilpatrick book is published. 4. To blog regularly. 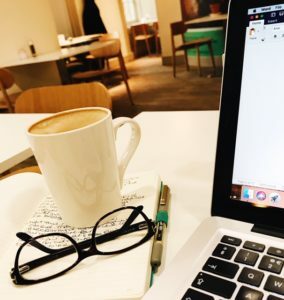 I’ve been blogging for well over a decade, but posting has become very intermittent of late, not least because I was waiting for publication news that didn’t materialise. But I enjoy blogging and talking to readers and it’s a good way to talk about some of the background to the books and the way that I write. Hopefully Tessa Kilpatrick’s readers will be interested in that. Other than that, my goals centre on sorting out our garden so that it’s both beautiful and productive; take a couple of foreign trips (I’m off to Minsk in later this month); to finally get on top of our admin with everything neatly filed away and our tax returns completed well before the deadline rather than just making it under the wire, and the usual getting fitter and eating better that we all promise outselves we’ll do. I hope that you have a brilliant 2019 and that it’s as exciting and challenging (in a good way) as I think mine might be. It is striking that I’ve written only three blog posts so far this year – a vague one about the progress (or lack of it) that Death Will Find Me had made in terms of finding a publisher, a piece about the importance of libraries in my life and a post a couple of weeks ago about a short story I’m working on which I’ll using to launch my mailing list in the next few weeks. I’ve been waiting on having actual concrete news to share, something actually happening. In some ways the last year or so feels like so much wasted time, writing-wise. Yes, I was signed by an agent but he turned out to be unable to sell the book despite lots of enthusiasm from editors who loved it but felt that it was a tricky sub-genre to sell. I wrote a different type of book but my agent felt it was too niche and that we should part company. A handful of other publishers have seen Death Will Find Me since then and the response has been the same. It’s come close but when it came to actually producing a contract, publishers have backed off. That editor also expressed enthusiasm about working with me if I wrote something different, by which she means more commercial. In some ways, it’s depressing that publishers are so scared of taking a risk. I mean, Death Will Find Me is historical crime fiction; it’s not as though I’m writing serious, highly-stylised literary fiction. But it is reassuring in some ways. As friends have pointed out, I’m a good writer and I’ve written a good book. I’ve been told that by people who know what they’re talking about and who have no obligation to be nice! I saw the emails they sent to ex-agent and they were very positive about my writing and the book itself. I asked him whether it was the convention that they said kind things and he assured me that was not the case and that usually he had to edit comments for his authors so that they weren’t upset or offended. So, where I am now is that I’m a good writer with a good book that is the first in a series which people seem really excited about. But from a business point of view, major publishers don’t see it selling in big enough quantities to be financially viable. After all, riverside offices and parties at the National Gallery have to be paid for by the sales of their authors. And when I look at smaller publishers, many seem to be run by people who have less experience of the book trade than me and I wonder what value they’re going to add to the deal in exchange for their cut of the profits. The heroine of Death Will Find Me is not a cold and timid soul, and neither am I. In the S cottish National Portrait Gallery, back when I was writing an early draft of Death Will Find Me and still getting to know my characters, I saw an image from the day the German fleet surrendered to the British Navy at the end of World War One. It was something I didn’t know about – that the powerful Imperial German Navy, so feared during the war, had been brought into the Firth of Forth before being escorted to Scapa Flow in Orkney where the ships were scuttled a few months later. Seven are still there today (the majority were salvaged for scrap in the 1920s) and are popular with scuba divers. You can read more about the surrender here. And I immediately knew that Tessa, my heroine (and she is a heroine), would been there. As a casualty of the war, injured at the Front in 1917, and particularly as a woman who had served, often in a covert capacity, she would have had few people she could talk to about her experiences and when the Armistice finally came, it would have felt rather remote from her. I knew that she would have been pleased and relieved, obviously, but I didn’t think she would have felt comfortable celebrating. However, Tessa would have needed to see some evidence of the German capitulation in order to be sure that it was over and that she could start to rebuild her life. 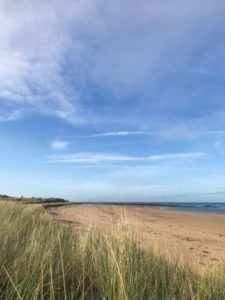 On the day of the surrender, 21st November, 1918, she would have driven out to the East Lothian coast to watch the British fleet sail out at dawn. And I could see her sitting in the dunes with her memories and her ghosts, processing what was happening. Maybe other people would be there on the beach, people who’d lost loved ones, servicemen who also felt a need to witness this. 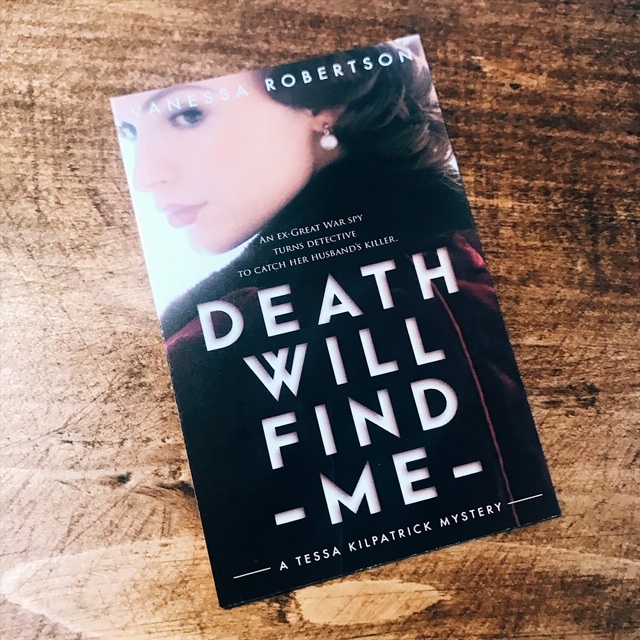 I’ve always known that this would be a short story and that it would be the perfect way to introduce readers to Tessa and how her experiences made her the woman we meet at the beginning of Death Will Find Me. Things are progressing publication-wise at last, and I’ve now started work on that short story. In a few weeks, I’ll be using it to launch my mailing list so that readers can meet Tessa and realise why I was so intrigued when she arrived in my life. Playing around with this story has been a really satisfying way to reintroduce myself to Tessa. I haven’t written anything about her for the best part of a year. It felt like tempting fate to write the second book in the series when the first was still to find a home and when I did show my then-agent an early draft of the opening for book 2 he was pretty dismissive of it which didn’t do my confidence any good as you can imagine. Instead, I concentrated on the contemporary art thriller that’s now complete and which I’ve put to one side until I decide what to do with it. Now that the way ahead looks clearer, I need to crack on with the Tessa Kilpatrick series and so I took a trip to the coast this morning, to sit on that beach in the dunes. I breathed in the ozone and I imagined the grey hulls of the ships looming out of the haar like ghosts; the other people who would have felt that same need to bear witness to this moment; the way that Tessa would have felt witnessing this. I felt the familiar tingle that comes from storytelling and I drove home feeling more positive about my writing than I have for a while. Tessa and I are going to be spending a lot more time together in the future and I’m delighted about that. She’s great company and I’m looking forward to seeing what she gets up to.